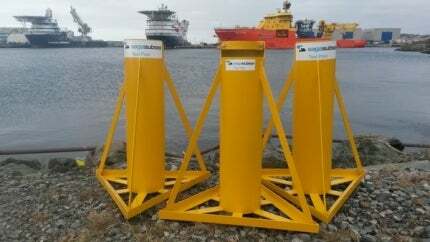 Saga Subsea is a comprehensive supplier of rental remote-operated vehicle (ROV) equipment and industrial services. In order to allow clients to focus on their main operations, Saga Subsea offers Observational-class ROVs from its rental tool pool, supplied with or without a 360° programme. The vehicles can be operated either manned or unmanned, as the company can implement a total management programme for the system, or provide them as rented assets. Saga Subsea offers a variety of equipment for sale such as ROV knives, fishtail and D-bar ROV handles, cleaning tools and subsea grinders. The company provides clients with cleaning brushes, gas sampling bottles and a variety of other subsea products that can be delivered at short notice when planning for subsea projects. From the company’s workshop on Killingøy Offshorebase, Saga Subsea offers clients maintenance and preservation services, as well as preparation of equipment and assets before or after an offshore project. As the company’s highly skilled and experienced operators facilitate client operations, follow-ups performed by its project managers are reduced to a minimum. Saga Subsea provides experienced coordinators to manage its clients’ vessel mobilisations. The company ensures all project equipment is on-board at the right time, as well as facilitates the provision of ad-hoc machinery. The company also provides clients with total project management services, and supplies rental HR solutions for engineers. Saga Subsea AS have now established ourselves on the Gran Canaria Subsea and Offshorebase (GCSB), where we will offer our clients the same services as we today do from our main offices on Killingøy Offshorebase, Haugesund. Saga Subsea expands its rental ToolPool, and takes a giant leap into the decommissioning market. Saga Subsea AS are currently conducting mini ROV platform inspections in the North Sea on behalf of DeepOcean and a major oil and gas company as end client.